Create a watch design to match all of your wardrobe creation fashion outfits. Comes in a gift box, not intended for children under 13. 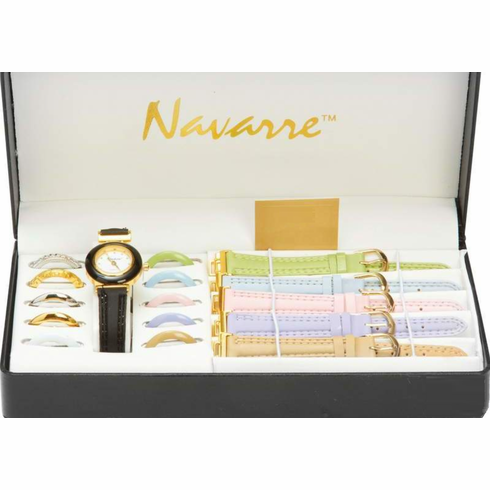 Set includes 6 different color bands and 11 interchangeable faces.